Country Style was founded in 1947 when Wayne Lindgren decided to follow his brother Chester "Whitey" Lindgren into the world of ice cream. 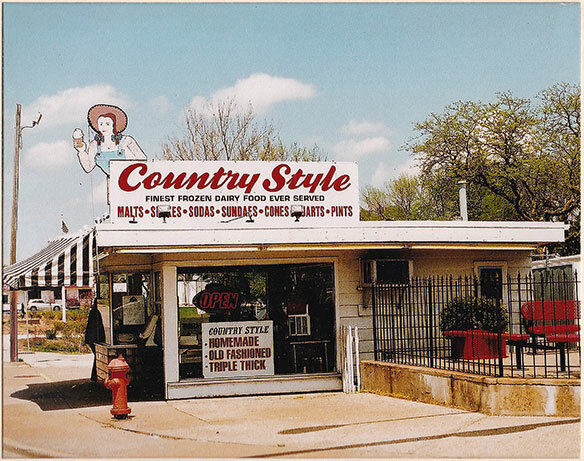 The brothers collaborated to produce a quality soft serve mix and Wayne along with his wife Desyl opened the first Country Style on 23rd Avenue and 43rd Street in Moline, Illinois. Later, Whitey and Wayne joined forces at the 16th Street and 23rd Avenue Moline store. Wayne eventually bought out Whitey's share of the business. Committed to quality, Wayne and Desyl then set out to establish Country Style as the finest quality soft serve ice cream in the country. Throughout the years, their dedication and hard work produced a following that spread across the country. The words "tastes like homemade" are often heard at Country Style and can be attributed to the high standards originally set by Wayne and Desyl. Kent Kindelsperger purchased Country Style on February 8, 1988 and continues to head the company. 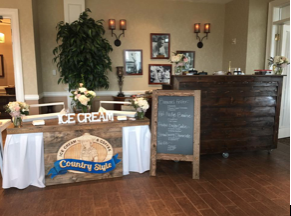 After experimenting with different store venues, Country Style has found a niche and brand with a free standing dairy farm building that serves exceptional ice cream. Country Style's history as a top quality soft serve ice cream provider sets a strong foundation to market the brand across the country. © Country Style | Designed by Netta Radice Design, Inc. | Collaboration & Development by Rise Above Creative, Inc.